You’ve decided to start a photography business but aren’t sure what to charge your clients. New photographers and clients don’t always understand why a custom photographer has to charge so much. My AC piece, “How to Choose a Photographer,” does a good job of explaining to clients where their invested money goes. But this article will help aspiring photographers decide what pricing structure to use in their photography business. Setting the pricing too low is the number one mistake new photographers make when starting a photography business. Quite often, new photographers charge slightly above their lab costs thinking this is a fair profit. They consider any photography business charging $50 for an 8×10 to be greedy. It’s also the number one reason why most people who start a photography business fail. 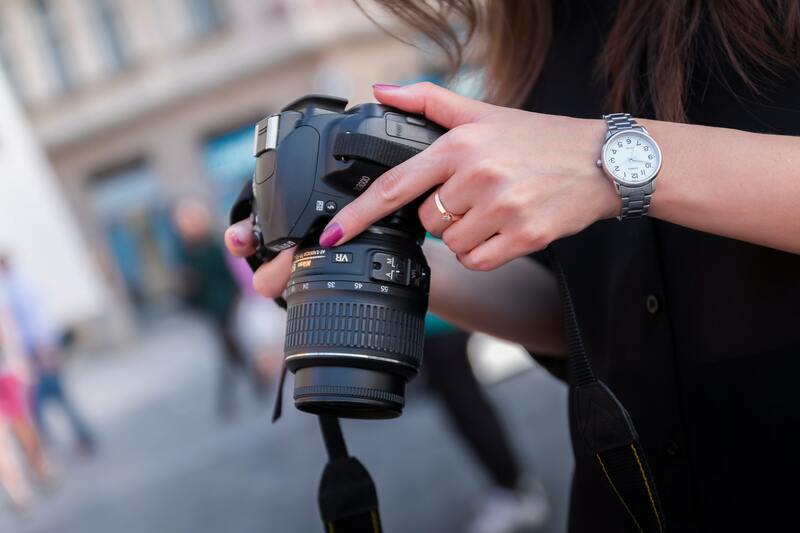 When you choose to start a photography business, you need to thoroughly research your market and costs to determine a fair pricing for your clients. Deciding what to charge your clients should never be a guessing game if you want your photography business to succeed. The first thing you should consider is your location and what the market will bear. Look at other photography businesses in your area and see what they are charging. But look at the established photographers. Reading through your local Craigslist of new photographers won’t help you much. You need to seek out established photographers who have been around for several years and see what works for them. Then determine what makes you different. Whether it’s your photography style or products you offer, you will need to set yourself apart when you start a photography business. Decide who your clients are and who you will be marketing your photography business to. Are your clients in the higher income bracket or the blue collar range? How will your clients find you? You must make a marketing budget for your photography business to grow. You should also consider equipment when you start a photography business. Do you have a full line of professional equipment or are you starting with the basics? Digital cameras may not have the added expense of film, but the cameras need to be constantly upgraded to keep up with the times. A budget must also be set aside for your education. You may not need a PhD to be a photographer, but starting a photography business still requires continual learning. Workshops, certifications, and clubs such as the PPA (Professional Photographers of America) all require money. You will also need to consider the costs for running your office, even if you don’t own a photography studio and work from home. Computers, printers, fax machines, and even cell phones and gas all need to be considered when setting your photography pricing. Editing equipment can be costly as well. Adobe Photoshop, easily the most popular photo editing software, can be very pricey. Photoshop plugs in to help with retouching or templates to help you work faster can also add up. Then of course there are your actual lab costs for prints. And if you want to truly be a professional photographer, you won’t just hand your clients a stack of photos. You will need to have special photo packaging for them. Lastly, the most important factor to consider; your time! A photographer’s time consists of much more than the photo session. You need to consider your time editing, placing the order, packaging the order, talking to the client on the phone, talking to potential clients, and researching. Most photographers charge a session fee to cover their time and talent. But the truth is, a photographer’s time and expenses are split between the session fee and the prints. It would be nice if you could charge all of your time in the session fee, but try explaining to a client why they need to pay $600 for a session and they get no pictures out of it. Therefore the fees need to be split up a bit. When you start a photography business, it would be nice if you set your pricing as low as the typical chain studios. But the difference is that a chain studio shoots in bulk. If you want to have low fees, you would need to be shooting 20 or more sessions a day to make a profit. A custom photographer does much more than that. You are charging for a custom photography experience. The client is getting one on one service, editing and retouching, more than just the cookie cutter poses, more products to choose from, and art for their walls. If you choose to start a photography business, you will need to understand that talent alone is not enough for you to succeed. You will need to learn how to run a business. Pricing your photography business will be one of the most important decisions you make and must be researched thoroughly.